Regarded by many as the day that marks the unofficial end of summer, Labor Day is celebrated on the first Monday of September in a number of countries, prominent among them the United States and Canada. While the day was initially declared a holiday by the Central Labor Union in New York City back in 1882, Labor Day in current times is all about spending quality time with family, organizing outdoor activities, and enjoying the warm weather before fall sets in. While many prefer to go visit family and relatives on Labor Day, you can also get the entire family together for some fun-filled outdoor activities, which will make the day a memorable one for all. Having a picnic is a classic way to celebrate Labor Day with family. Arrange for everyone to bring a picnic basket loaded with goodies, and make sure you put someone in charge of drinks. 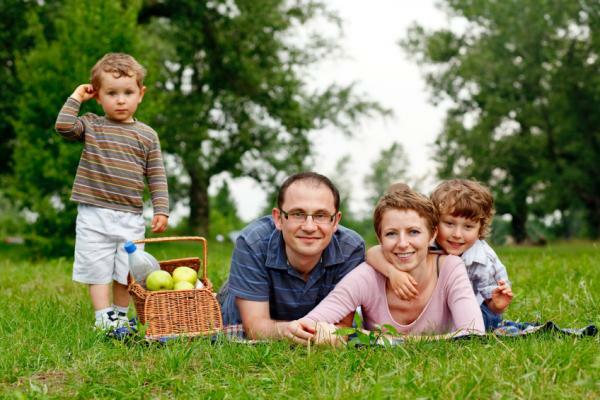 Once you all get together, you can head out to a local park for a big family picnic. Some parks also have grills and cooking facilities, so you can also turn the picnic into a big outdoor barbecue. However, if you are not feeling up to all that planning for a big event, you can always go for a simple backyard barbecue. Invite family and friends over, fire up the grill, and enjoy a nice relaxing day replete with delicious food and plenty of booze – a perfect way to savor the last few days of summer. Fireworks are a common part of Labor Day, so a great way to celebrate the day with family is to attend a fireworks display. Before you make any such plans, however, it is important to check whether there are any fireworks shows planned for your area. Visiting the beach can also be a great way to enjoy the remaining warm summer days with your family – the prospect of enjoying the sunshine and warm water is too good to pass up. However, make sure you are prepared to fight your way through lots of traffic, and willing to navigate huge crowds, as visiting the beach is an exceptionally popular activity on Labor Day. Finally, another great way to enjoy the tail end of summer is to attend a sporting event on Labor Day – nothing says “summer” more than a good ball game, and cheering your team on, while enjoying the sunshine, a hot dog, and a chilled drink, is the perfect way to spend Labor Day with your family.